Whether you live in Myrtle Beach or Charleston, mosquitoes are one of the area's most hated pests. 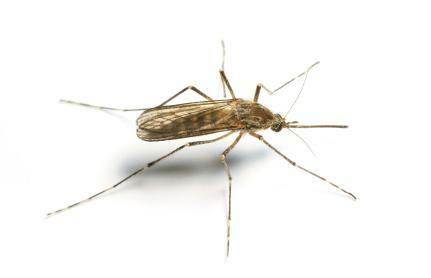 From the annoying buzzing sound that they make to the irritating bites that the swarms inflict on the whole family, mosquitoes don't have one redeeming trait. Today, mosquito swarms cause trouble all day, not just in the twilight hours. This means that there's almost no way to escape mosquitoes or their bites. Scented candles and bug sprays are no match for these obnoxious pests and the viruses that they carry. Since 1999, mosquito-borne diseases have swept across the country. Invasive species from overseas have brought terrible illnesses with them. West Nile virus has been reported in South Carolina and every other state in the lower 48. Now, there's growing concern about other dangerous viruses like Zika, dengue fever, chikungunya, and encephalitis. The majority of people only experience mild flu-like symptoms. The diseases continue to proliferate when a mosquito bites an infected host and transmits the virus to other animals or people. Mosquitoes are one of the most serious public health concerns today. Once diseases arrive, they continue to spread. Community spraying programs only reach so much land in South Carolina. That's why it's important for homeowners to do what they can to reduce mosquito activity on their properties. Homeowners who hire professionals to manage mosquitoes in their backyards also help their neighbors. Mosquito eggs and larvae need moisture to hatch and grow, so the adults are attracted to damp areas. Not all mosquitoes lay eggs in containers holding water. Some prefer hollows in rotted tree trunks and branches. Most immature mosquitoes are aquatic. They only leave the water once they're mature. The adults tend to rest in bushes and sheltered locations where they're protected from the wind. Our pest control technicians find mosquito larvae, which are called wrigglers, in most containers that hold water consistently. Even a spoonful of water can support numerous eggs, larvae, and pupae. Toys, flowerpots, garbage cans, rain barrels, air conditioner drainpipes, gutters and old tires are ideal nurseries for immature mosquitoes. Your property most likely has several places that harbor mosquitoes in different stages of their life cycle. If you have to swat mosquitoes every time that you step outside, you need to implement an effective treatment plan. When customers complain about mosquito infestations, we offer several effective solutions. Removing items that hold water is a simple strategy. If it isn't possible to eliminate every bit of water, your Titan technician will apply long-lasting, biodegradable larvicides that target the immature mosquitoes. Adult mosquitoes are generally controlled by spraying dense vegetation or by broadcasting granules that repel these bloodsucking pests. At Titan Termite & Pest Control, we offer customized treatments based on the type of activity and conditions on your property. If you're a homeowner or if you run your own business, you can depend on our expert technicians and state-of-the-art treatments. We've earned industry certifications from the National Pest Management Association and statewide organizations like the South Carolina Pest Control Association. Call Titan Termite & Pest Control to learn more about our full range of treatments for mosquitoes and other pests that are active along the coast and throughout the state.